Hi everyone! I hope it is sunny in your life! In this video (Part 1 of the Favorite Natural Products of 2012 series) I talk about my favorite skincare, haircare, and body products that I either discovered in 2012 or that I’ve used throughout 2012. Enjoy, and have a sunny day! Please note: All of the products that I talked about in this video I either bought myself, or were given to me as gifts from my friends and family. I am not affiliated with any of these brands and am not paid to talk about any of them. I enjoy sharing products that I have found that I love! Today, I wanted to share with all of you what I use on my face~ everything I use is all natural, and help keep my skin acne free. None of my skin secrets have any chemicals, detergents, artifical fragrances, etc. and, along with cutting out processed foods and sugar, are the reasons why my skin is clear! The fact that my skin is clear now, and never was when I was using Proactiv, Biore, Clean & Clear, etc. just goes to show that going back to nature is overall better for your health, and your skin! For those of you who viewed My Favorite Natural Products of 2o11 video/post, this will come as no surprise. Honey is the most wonderful “cleanser” I have used for a long, long time. It is antibacterial. Therefore, it helps to heal your acne, and also does not contribute to your acne. Those are two things that are very hard for me to find from a cleanser. Honey also does not dry out my skin. It is actually quite moisturizing! 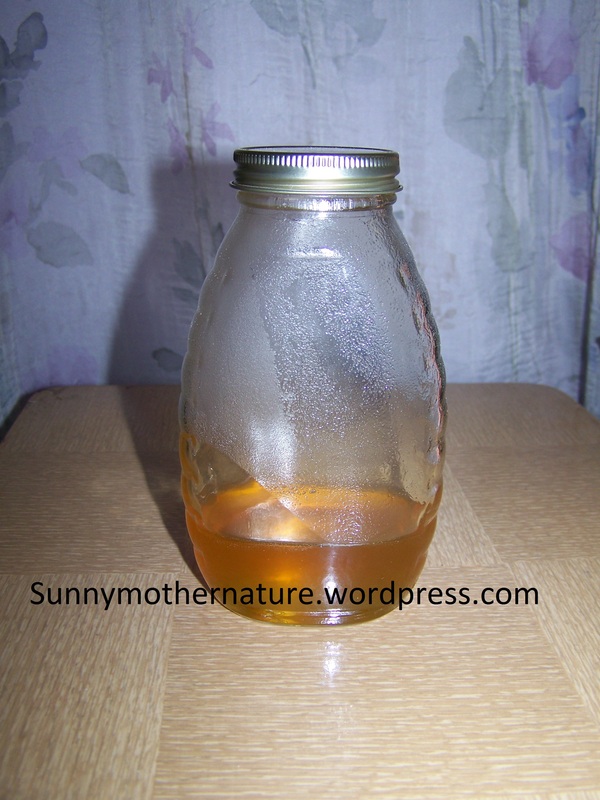 Another wonderful thing about honey is that it is water soluble. This means that once water touches the honey, it starts to dissolve. Honey leaves no residue on my face, which is another plus. How to: Just take about half a spoonful of honey and wet your face. Then, take small amounts of the honey and start rubbing the honey all over your face. Finally, rinse away! It’s easy, and takes the same amount of time as a regular cleanser, without all of the harsh chemicals, detergents, etc. Precaution: Please do not try using honey if you are allergic! My Acne and Acne Scar Treatment: Limes! Limes are a wonderful little fruit, and are just as wonderful as a night treatment for healing acne and fading acne scars. I found using limes to not dry out my skin, and definitely helped lessen the appearance of my scars on my face over a few months. Lemons could also be used instead of limes, but I found lemons to dry out my skin, and also irritated my skin (which limes did not). How to: After you have cleansed your skin, cut a lime until you have one small slice (I typically would cut a lime in half, and then cut one of those halves into 4 pieces. I would then place all of the lime except for one slice into the fridge to use later). Take one of those slices and squeeze the juice into a small bowl. Then, dab a clean finger into the bowl and gently pat onto any acne and acne scars on your face. Repeat until lime juice is on all of your acne and acne scars. Let dry. The Requirements: Preferably use an organic lime, but conventional limes work as well. Also, please use fresh lime juice. It is unknown how long presqueezed lime and lemon juices have been in those plastic containers. Precaution: Only use this acne and acne scar treatment at night. Lime juice and lemon juice both photosensitize your skin (make your skin more sensitive to sunlight). Yes, an oil is my moisturizer, and yes, I do have acne prone skin. I know this sounds ridiculous, but it does help. Argan oil has helped to balance my skin, moisturizes wonderfully, and does not cause acne! How to: After cleansing your face and applying the lime juice, simply dampen your fingers and your face (where you are going to apply the argan oil). Take one or two drops (not dropper-fulls, but drops) of oil onto your fingers. Rub gently between your fingers and then dab onto the skin where it is needed. You can apply one or two more drops onto your face if needed. Requirements: Preferably use organic argan oil. If it is cold pressed, and better yet, the first cold pressing, it has even higher amounts of essential fatty acids than compared to just refined and pure argan oil (which would be cheaper). Also, there is a difference in quality~ the Josie Maran Organic Argan Oil which is what I use on my face (and is the first cold pressing) feels much lighter on my skin and soaks into my skin quicker than the ArganUSA Argan Oil (which I use on the rest of my body because it is less expensive, but it is not the first cold pressing) feels just a little bit heavier and takes a little bit longer to soak in. I personally recommend Josie Maran Cosmetics Argan Oil for the face, or any USDA Certified Organic Argan Oil. Precautions: With argan oil, more is not better~Less is more in this situation. Use only a few drops at first, then see if you need more. Also, either your fingers or your skin needs to be damp for the oil to penetrate into the skin. Otherwise, you will feel you need more argan oil, and it will take much longer to be absorbed by the skin. And that’s it! I hope these skincare ideas help you achieve clear skin! I love these, and have been using them for many months. Are you going to try any of my suggestions, or do you have any questions about my tips? Leave a comment below! 27 Aug 2011 Comments Off on Yes! I Conquered a Sunburn Naturally~ And You Can Too! This goal was halted about a week ago though, when I ended up in the sun during peak sunlight hours, for several hours. Of course that was one of the only days this summer that I did not wear sunscreen. Oh well. This landed me with a sunburn on my chest, shoulders, back, as well as on my nose and forehead. At first it didn’t seem really bad, especially compared to some sunburns I have had. However, as it turned into that night, I began to really feel the radiating heat. I knew I had only a little time to decide what to use before I possibly ended up peeling. I wasn’t at home, so I had limited options~ try a “normal” sunburn lotion~ full of harmful chemicals as ingredients, or try something that I’ve never tried on my sunburn before~ but that would be a natural, organic way to heal my sunburn. I normally use organic Argan oil as my overall body moisturizer anyway, and I had heard that it could be used to heal sunburns. So, I was curious to try it. This stuff works! I’ve rarely had a sunburn (even minor ones) that did not peel. Since I used Argan oil on my sunburn though, I did not peel~ Even a little! And it healed in two days~ unheard of for my fair skin. That’s it! You really don’t need a lot of Argan oil on your skin either, a little bit goes a long way. You don’t want your skin to be extremely oily~ just feeling moisturized. The reason why you want your skin to be slightly damp when you apply the Argan oil is because this allows your skin to soak in the oil easier and quicker. If your skin is dry, then not only will you need to use more oil, but your skin won’t soak it in as much. I hope your remaining summer days are sunny and sunburn-free! And if a sunburn sneaks in, use some organic Argan oil to conquer it! If you have read any of my other blog posts, you’ll know that I am co-washing (aka conditioner washing) my hair right now. If you haven’t read any of my posts about it, co-washing is basically washing your hair with conditioner. It does seriously work. I have been using this process for 2 months now, and used Wen for 7 months before that. Originally when I bought the Organix Renewing Moroccan Argan Oil Conditioner, I thought it would be my ultra-moisturizing conditioner for the ends of my hair and that it would not be good to use as a co-washing conditioner (for my roots). However, it ended up being the complete opposite from what I thought! 1. It works very nicely as a co-washing conditioner. This conditioner is inbetween V05 (which is very drying/stripping to use as my co-wash conditioner) and Suave Rosemary Mint (which is very moisturizing as my co-wash conditioner). So, it is perfect! I end up using Suave two days in a row and then co-washing my hair one day with this. This makes sure that my hair isn’t stripped and that it doesn’t get oily (buildup). Yet, I can even use this conditioner two days in a row, even three and I do not see/feel the impact that V05 leaves. 2. It smells nice. This scent is not like any of the other conditioners (co-washing or Wen I’ve commented on, in my blog) that have very earthy, natural scents. Instead, this is much more a cologne scent. The one vblogger I follow described it as smelling like Abercrombie and Fitch’s cologne. I don’t know if this is true though because I have never smelled their cologne. It is a sweet smelling cologne though. 4. It has argan oil. I absolutely love argan oil! It’s just amazing to use on your skin and hair! 1. It does not have organic ingredients. Since the name of the brand is Organix, I thought that, therefore, they must be using organic ingredients as well. However, when I looked at them at the store, I did notice that they are not organic. So, do not get fooled by the brand’s name! I personally feel that is very misleading on the company’s part. However, it is always cheaper for the company to not be organic. With cosmetics, it’s more complicated. Organic in cosmetics still is better than natural. Natural still has really no weight. However, organic cosmetics and skincare, etc. are not regulated by the USDA really, like food is. Just make sure that you trust the company and believe them when they state that their product(s), or some of their ingredients are organic! Some cosmetic companies do say that they are certified by various organizations that they are using organic ingredients, or that they are organic. Just make sure that you do believe that organization is valid. 2. It has added coloring to it. This may not be a negative for some people. However, ever since I worked at a small animal shelter and we were ALWAYS told to never feed the animals any food donations that had red dye in them, I have been very suspicious about food dyes and food coloring. This is especially true when I feel that the added color/dye is unnecessary, like it is in the Organix Argan Oil conditoner. The V05 and the Suave Rosemary Mint do not have this added in, so I don’t see why Organix needed to add it. 3. It has parfum as an ingredient. Basically, anything that has “parfum,” or “fragrance” as an ingredient is allowed to hide hundreds of other ingredients behind that one listing. Having allegric, or skin, reactions to a product with “parfum” on it? Good luck finding out what the ingredient you need to avoid is. Both V05 and Suave do have parfum on their ingredient listings too, sadly. 4. This conditioner was not moisturizing. Although this conditioner works amazingly as a co-washing conditioner, I did not originally buy this conditioner to use it in that way. So, anyone who buys this thinking it will add moisture to her hair will be disappointed. 5. It is somewhat expensive for a drugstore brand. This conditioner was around $7 or $8 when I bought it (I’ve had it for a month now, so I don’t remember). So, it will probably range from $6 to $11 in drugstores and grocery stores. To me, compared to V05 and Suave that are $1 and $2, respectively, it is expensive. However, that may not be considered an expensive drugstore brand by you. It just depends. However, to me, if I was going to spend that much on a drugstore conditioner, I would rather spend a couple dollars more and get an organic conditioner. 1. It claims it has Organic Argan Oil in it. Although this should definitely be a positive, it is only stated once on the back of the label. Other than that, it does not state that it’s organic in the ingredient listings, or anywhere else. So, I’m unsure about this. In conclusion, I do really like the Organix Renewing Moroccan Argan Oil. It works very nicely as a co-washing conditioner and has argan oil in it. So, I do recommend it especially for co-washing. However, if you wanted to use this to moisturize your hair, I would say pass on this conditioner. It dried out my ends instead of moisturizing them. This makes it good for co-washing, but not good as a normal conditioner. However, I would probably not repurchase this, personally, because of all of the Cons I listed. The Cons really outway the Pros for me. Yet, that may not be the case for you! If the cons are not an issue to you, then go ahead and try this conditioner! Have a sunny day everyone! Ingredients: DI Water (Aqua), Behentrimonium Chloride, Cetyl Alcohol, Glycol Stearate, Glycerin, Dimethicone, Cetearyl Alcohol, Ceteareth-20, Parfum, Argania Spinoza (Argan) Oil, Theobroma Cacao (Cocoa Butter) Extract, Cocos Nucifera (Coconut) Oil, Persea Gratissima (Avocado) Oil, Aloe Barbadensis (Aloe Leaf) Extract, Panthenol, Tetrasodium EDTA, DMDM Hydantoin, Methylchlorothiazolinone, Methylisothiazolinone, Red 40, Yellow 5. Please Note: I am not affiliated with Organix, V05, or Suave. None of these companies gave me products to review, nor are they compensating me for my review. I bought all of these conditioners myself. 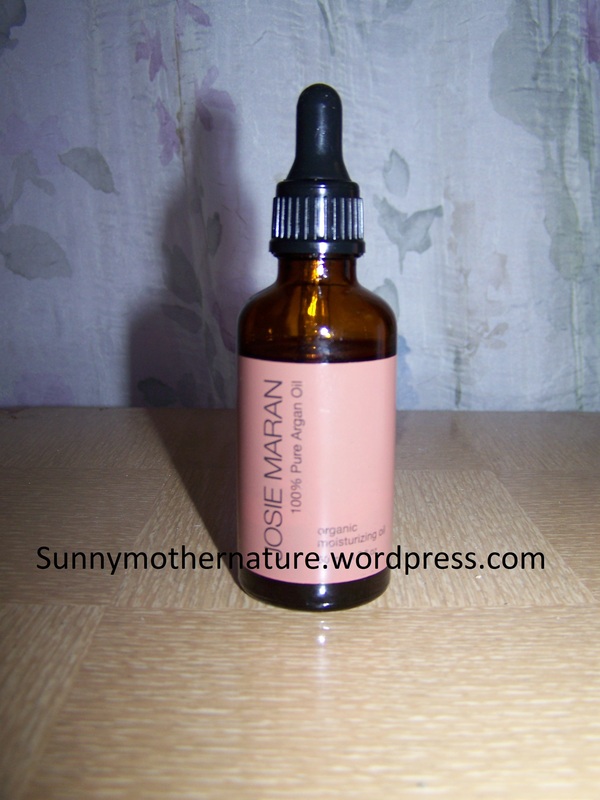 Ever since I first heard about, and began to use, Josie Maran Cosmetics, I’ve been wanting to try their Argan Tinted Moisturizer. I had never used a tinted moisturizer before and the only type of foundation I had used since I was 14 was Bare Escentuals’ foundation in fair (which I no longer used because the formula seems to have changed and no longer works for me). So, I was curious! I decided to buy it finally last fall during Sephora’s F&F sale. Josie Maran’s Tinted Moisturizer is supposed to be a moisturizer, a sheer foundation, and a SPF all in one (like any other tinted moisturizer). I had really high hopes for this product! I used this on and off (you’ll find out why soon enough) for four months. Here’s my thoughts on it. 1. I love the SPF 30! There are very few foundations, tinted moisturizers, etc. that have SPF 30. Most of the time you’re lucky if it’s a SPF 20. But Josie Maran Cosmetics went above and beyond and gave their tinted moisturizer SPF 30 which I love and greatly appreciate. 2. It gives a nice finish. I did really like the look of my skin when I had this product on. I did still have to use concealer over it (like most tinted moisturizers). 3. They tell you what the ingredients in the tinted moisturizer are on their website and have little symbols to tell you what it does and doesn’t have in it! 1. My skin broke out every time I used it. It must be at least one ingredient that they have in more than one of their products because I’ve tried a fair amount of their products and about half of them have made my skin break out. This disappointed me. Even if I only used this one day and then did not use it for days after, it still broke me out. Whether I did add a drop or two of argan oil, or when I didn’t, it just did not matter. It still broke me out. 2. The lightest shade is too dark for my skintone. I am fair (aka very pale), so I tried the color Creme, which is supposed to be for fair complexions. However, that color was really too dark for me, no matter how much or little product I used. They only have 5 shades, so they really need to expand a little. 3. It is a thick tinted moisturizer. For some, this may be a positive. However, for me, it is so thick of a consistency that I actually needed to add a couple drops of Josie Maran Argan Oil to it in my palm, mix it, and then apply it to my skin. This way it gave a nice coverage. When I didn’t mix in a couple drops, it would not spread evenly over my skin and I ended up looking streaky and kind of orange. 4. The packaging is not recyclable. No tubes can be recycled where I live (maybe they can be recycled where you live? ), so I feel that their company’s ideals don’t follow through with the tinted moisturizer’s packaging. 5. It has a chemical sunscreen, not a physical sunscreen. Again, this could be a positive or a negative to you, depending on which you look for. However, I personally like to have physical sunscreens over chemical (but I was looking over that with this product because I thought I would really like it). 6. It is kind of expensive. You receive 1.7 oz. for $38. Compared to some other brands, I guess it’s kind of in the middle. However, $38 for any foundation or tinted moisturizer is more on the expensive side for me. It just really depends on whether you personally feel $38 is a decent price, or too expensive. Overall, I did really like this product, but the two things that stopped me from using this product (and I ended up giving this tinted moisturizer to my mom) were that it was breaking me out and that it was at least one shade too dark for my skin. My mom is about one shade darker than me (she is considered light complexion). However, my mom really likes Josie Maran’s Argan Tinted Moisturizer! So, if you have light skin, (but not fair), or darker, and you don’t have acne-prone skin, I do really recommend this product for you. Sadly, it just does not agree with my skin, or skintone. I did love the finish this product gave though. If you are interested in buying Josie Maran’s Argan Tinted Moisturizer, you can buy it at www.josiemarancosmetics.com, or www.sephora.com. I still love Josie Maran Cosmetics, even though this product didn’t work out for me!! I like what they are trying to do and what they stand for. And there are many other Josie Maran Cosmetics products that I absolutely love~ including the 100% pure argan oil, the whipped argan oil body butters and the argan lip glosses! Please Note: I am not affiliated with Josie Maran Cosmetics or Sephora. Neither company sent me this product to try, nor did they compensate me for this review. I bought this product myself from Sephora during one of their sales. Sunny Mother Nature loves Josie Maran’s new Whipped Argan Oil Body Butters in Sweet Citrus and in Vanilla & Apricot! I have, since I was at least 11 years old, always had trouble with my hands cracking and bleeding in the winter. My mom, my sister and I have all searched for lotions, body butters, etc. to try to help my hands. Every now and then I would find something that worked to help keep my hands from bleeding, but I would still have trouble with them cracking. In this journey, I have tried so many different lotions, body butters and shea butters that I lost count years ago. But then I wanted to go more natural too. So, the search was even more difficult. Until I found Josie Maran Cosmetics. The new Josie Maran Cosmetics’ Whipped Argan Oil Body Butters in Sweet Citrus and Vanilla & Apricot are amazing! I have been using these for a little over a month. Every time that I rub these into my hands, my hands instantly begin to feel at a normal moisture level, instead of dry and preparing to crack. They are also not oily. I just place a little on my hands throughout the day, rub it in, and my hands feel wonderful for hours, without greasiness. And the scents are divine. I love them both. They are not like normal “fruity scents” either. They smell like actual citrus fruits and an actual apricot! It’s simply amazing. My hands have NEVER looked this good during the winter (since maybe I was a little kid) as they do now. My hands look like how they do during the summer! No cracking or bleeding- and no sign that they will either!! These are truly miracle producing products for my hands. I’ve never said any other product, not just for my hands but any product, was a miracle product either. But, no other product has given me these kind of drastic results either. Ever. On Josie Maran Cosmetics’ website, www.josiemarancosmetics.com, it states “This velvety, lightweight and hydrating body butter is whipped to perfection, so you can spread the love with Josie Maran’s signature ingredient, Argan Oil. This precious, rare oil is spun into a unique creamy butter to easily revitalize skin and restore softness while improving skin’s texture. Powerful anti-oxidants enrich and nourish your skin as you indulge your senses with your choice of two subtle all-natural aromas, invigorating sweet citrus and soothing vanilla apricot. 8 fl oz./240 mL.” The body butters are $35 each. Another thing that I love is that the ingredients are all good for you. Many of the ingredients are organic and most of the rest are plant derived. Even better is what they leave out- there are no petrochemicals (like mineral oil or petrolatum), no parabens and no artifical colors in these body butters! Also, there is no ingredient listing of “fragrance,” or “parfum”-so, you truly know what all the ingredients in these wonderful body butters are! They even placed the ingredients on their website-so you know what the ingredients are before you buy. Will I be buying these again? YES!! I will continue buying Josie Maran’s Whipped Argan Oil Body Butters as long as they are made because of how natural they are as well as the results I have had with my hands. So, give either one a try-I personally love both of the scents (although my Sweet Citrus is going down quicker than my Vanilla & Apricot). And these are body butters, so try them all over your body. I just need the extra moisture specifically on my hands. Hopefully if you try these, they will work as good for you as they have been working for me. Mother Nature won’t mind you trying them either-after all, they’re way more natural and good for you, and for her, than a majority of body butters and lotions on the market. If you want to learn more about Josie Maran Cosmetics, or their Mother Nature friendly philosophy behind the brand, please visit www.josiemarancosmetics.com. Please Note-I am not affiliated with Josie Maran Cosmetics, nor did they give me these products to try, or compensate me for my review. I received these body butters as early Christmas presents from my mother, in hopes that they would help my hands.